In need of some home improvement? And I don’t mean the 90’s TV show featuring Tim Allen. Though, fun fact, the show did take place in suburban Detroit. 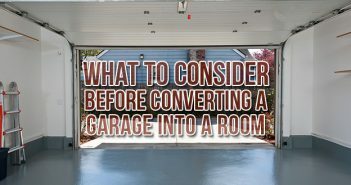 Anyways, I’m talking about renovating or making additions to your home. 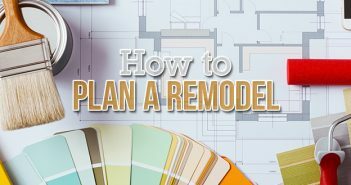 If your home is in need of some TLC, now is the perfect time to start planning a home improvement project. Fortunately, Detroit is surrounded with plenty of real-life Tim “The Tool Man” Taylor’s that are essential for any home improvement job. Speaking of essential, roll-off dumpsters are just as essential for any home remodel. These dumpsters are especially great for the disposal of construction debris and household debris. Without further ado, here are some general contractors in Detroit – based on years of experience, services provided, quality of work and testimonials – that may be a good fit for your home improvement project. There isn’t much Home Base Improvement & Construction can’t do. Located off I-75 just southwest of downtown Detroit, Home Base Home Improvement & Construction can do it all. 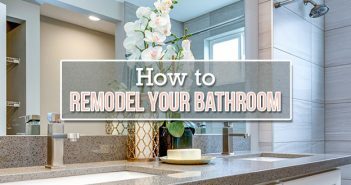 Whether you’re looking for bathroom remodeling, downriver roofing, entry door installation, flooring, kitchen remodeling, porch construction, siding installation, or window installation, the team at Home Base Home Improvement can cater to all your needs. If that’s not enough incentive to go check them out, how does a coupon for $2,200 off on a kitchen and bath remodel sound? That’s just one of many promotions and monthly specials Home Base Home Improvement & Construction offers its customers. Founded by David Kopke, who grew up in a family of entrepreneurs and service specialists, Kopke Remodeling & Design offers major home renovations. Some of these services include basement finishing and remodeling, bathroom remodeling and renovation, custom home construction, porch and deck remodeling, roofing and insulation, and siding, trim, and gutter work. When it comes to taking remodeling dreams and transforming them into exquisite living spaces, Main Street Design Build has been a reliable source for over 20 years. The credentials speak for themselves. MainStreet Design Build and its staff have been the recipient of numerous awards, including their work with closets and interior use of stone in the 2014 Detroit Home Magazine design awards. In 2006, they were named Contractor of the Year by the National Association of the Remodeling Industry. The staff is also heavily involved in the community, working with Habitat for Humanity and Toys for Tots. If you’re thinking your home could use an upgrade, consider MainStreet Design Build for your next home improvement project. There’s an old adage that states family is the most important thing in life. For over 28 years, the experts at Pine Building have had a vision of creating living spaces families love to come home to – whether that be home additions, remodels and renovations, or exterior makeovers. Additions include kitchen and family room, master bedroom and in-laws suites, home office and den, and garage and porch. Remodels and renovations include kitchen remodeling and expansion, interior makeovers and updates, finished basements, and fire restoration. Exterior makeovers include specialty exteriors – such as cement board and cedar shake – vinyl, wood, and stone siding, roofing, trim, gutters, and custom windows and doors. With every project, Pine Building strives for quality craftsmanship, trustworthy guidance and complete financial assistance. Did we miss a contractor in the Detroit area that you have used? Let us know in the comments section below!